Two years ago, Zhus showed that they could build color-coded two-way roads in a material called the double-sided graph. Due to their color coding, these roads are topological. 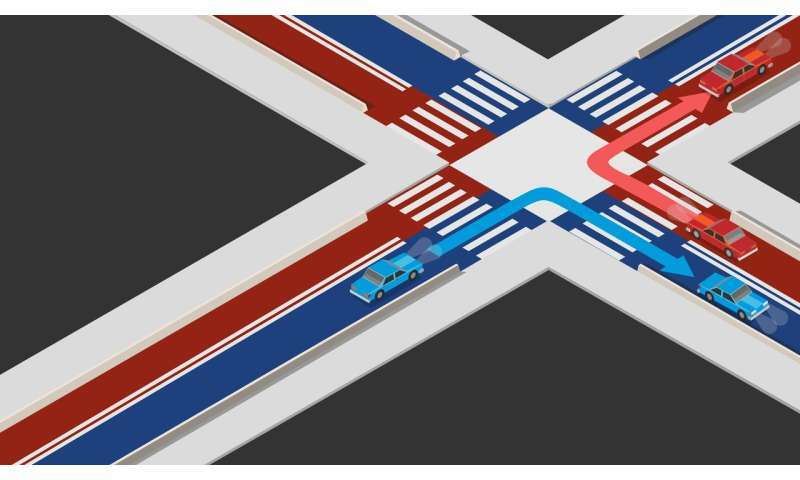 In the current study, the researchers made a four-way crossing where the color coding of the roads was hit on the other side. 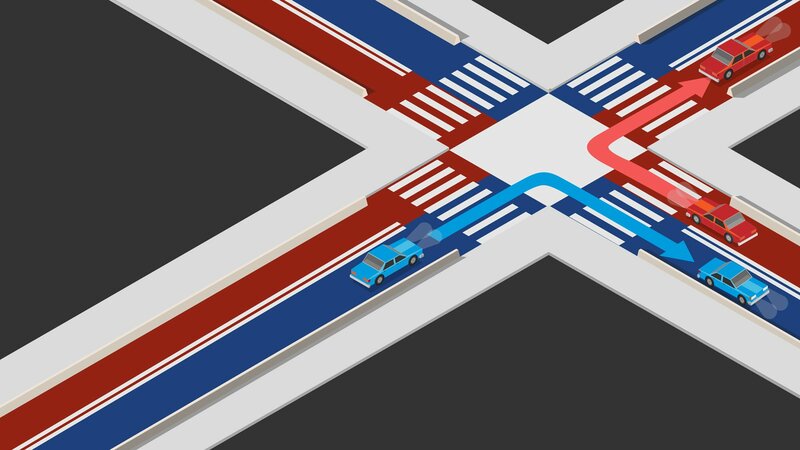 Therefore, you have a situation where a blue car traveling north comes to this intersection and finds that on the other side the intersection is the northern roads colored red. If the electron can not change color, it is forbidden to travel forward. These roads are actually electron waveguides created by gates defined with extreme precision using state-of-the-art electron beam lithography. The colors are actually the dale index of the cars, and the color coding of the road coding is controlled by the waveguide’s topology, which is analogous to the left-hand drive and right-hand drive rules in different countries. Changing the color of the cars requires “medium spread” minimized in the attempt to enable traffic control. In the study, the researchers asked where was metaphorical blue car if it could not go on? “It must turn either left or right,” said senior author Jing Li, Zhu’s former doctoral student, now a director’s postdoc in Los Alamos National Lab. This controlled partition is called a beam splitter, which is common to light but not easily accomplished with electrons. Zhu and Li said they are happy about the control they have achieved for their color-coded paths, as it allows more advanced experiments on the road. The next challenge for Zhus’s team is to try to build their units to work at room temperature instead of at the very cold temperatures they currently need. It is feasible, Zhu believes, but challenging.